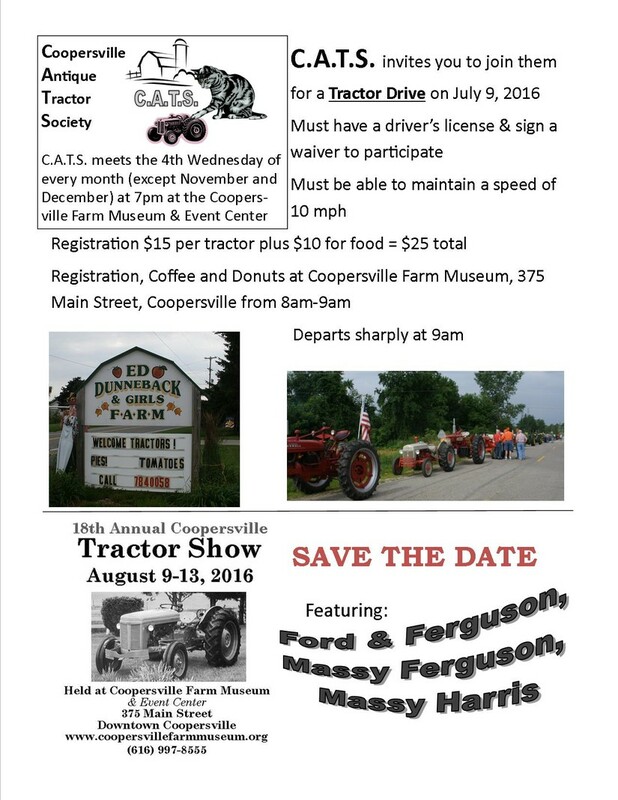 Join Coopersville Antique Tractor Society on a Tractor Drive from Coopersville Farm Museum and Event Center to Ed Dunneback and Girls Farm! See Details below! 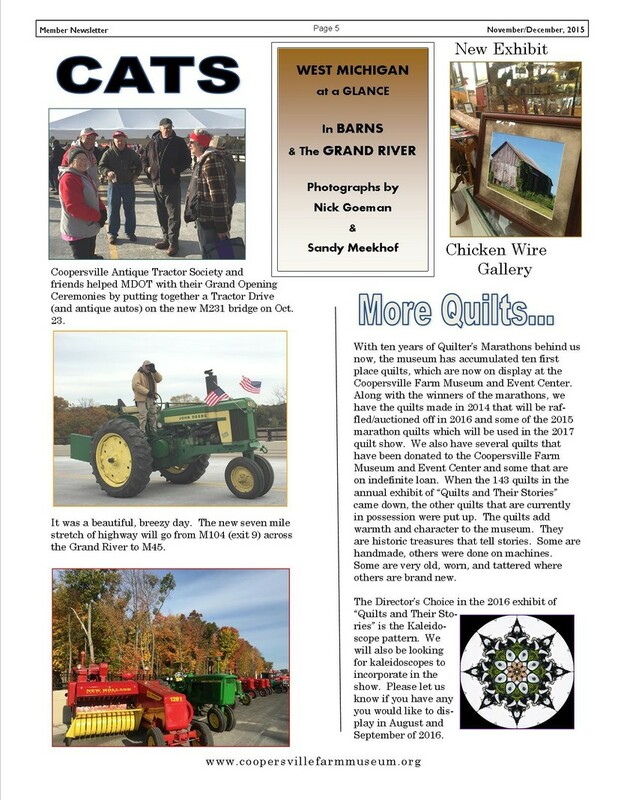 Coopersville Antique Tractor Society meets at 7pm on the 4th Wednesday of every month at the Coopersville Farm Museum, 375 Main Street, Coopersville, Michigan. 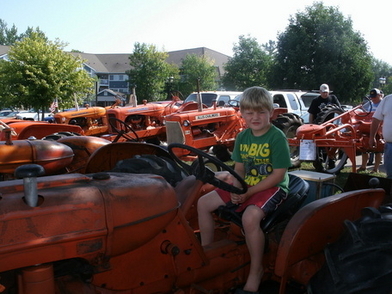 Membership is $15 per calendar year per person. 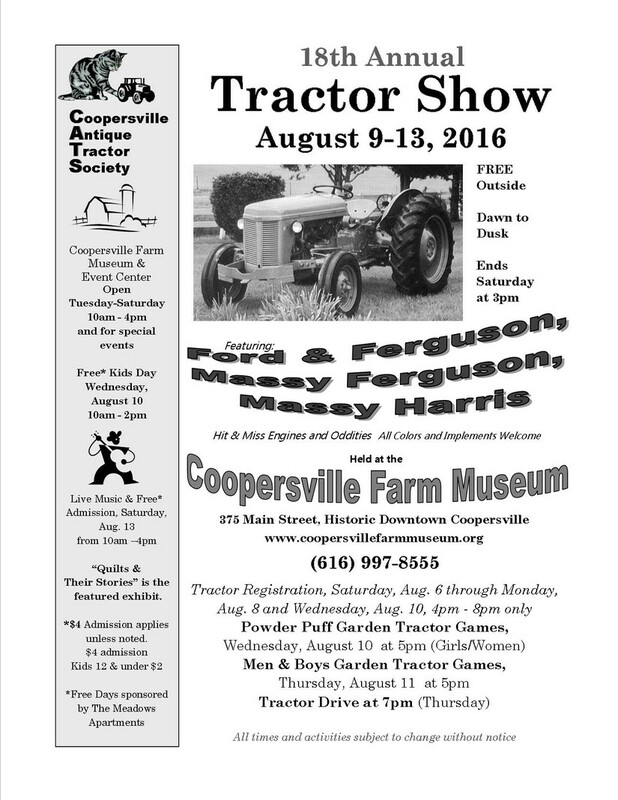 See below for information regarding the Coopersville Tractor Show and other scheduled events.